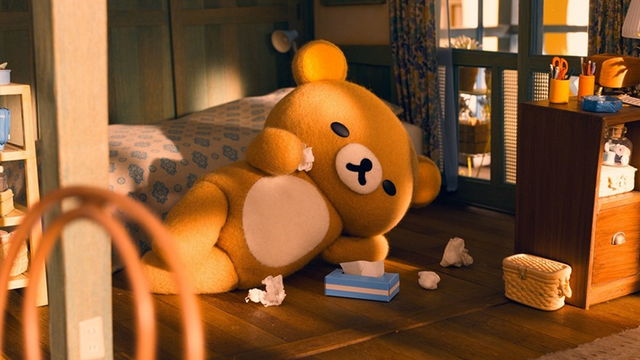 The upcoming Netflix release Rilakkuma and Kaoru-san brings the San-X character into a human home. But the latest teaser is opening up questions about the mascot. It looks like our chill hero has tons of bear costumes folded and ready for use, and we even see the suit slide out from under his covers for laundry day. And while Kaoru-san doesn’t seem too concerned by the implications, the end of the teaser makes it look as though Rilakkuma is being investigated to at least some degree. Who — or what — lives inside Rilakkuma’s cozy kigurumi? We almost certainly won’t find out when Rilakkuma and Kaoru-san comes to Netflix on April 19.